Remember the supreme leader of indigenous People Of Biafra, Mazi Nnamdi Kanu said and I quote "I will lock Jubril inside Aso Rock, and he will die 1000 times before his death". The supreme leader of IPOB Nnamdi Kanu's Saturday tonic has changed the mindset of Biafrans and none Biafrans more especially those who listen to Radio Biafra London and worldwide. Radio Biafra taught blacks how to ask reasonable questions when things are not right and also let the masses know that mandate belongs to the people not to corrupt politicians in Biafra land. 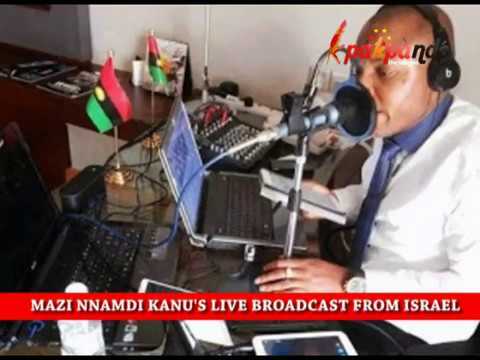 The supreme leader of IPOB, Nnamdi Kanu educates ardent listeners of Radio Biafra worldwide, he even made every IPOB member a journalist, no matter their level of education. The reason why supposed Buhari and cohorts will never escape punishment is because everyone is now a reporter and intelligent fellow, thanks to Nnamdi Kanu who reactivated our thinking faculty to make us start thinking and reasoning somehow like a human. Everyone is aware that the stage-managed slump of the supposed Buhari is fake and too cosmetic to be believed because both IPOB and non-Biafrans are aware of the deception and forgery going on in Aso rock. The presidency wants to use it as an excuse for supposed Buhari not to attend essential functions or campaigns to avoid the world's private investigators to get facts to nail him and his handlers. Nnamdi Kanu has succeeded in unmasking and locking him up because Buhari double can't go to America, Europe and other world powers except for United kingdoms for now because of British complicity in corrupt practices going on in Nigeria. 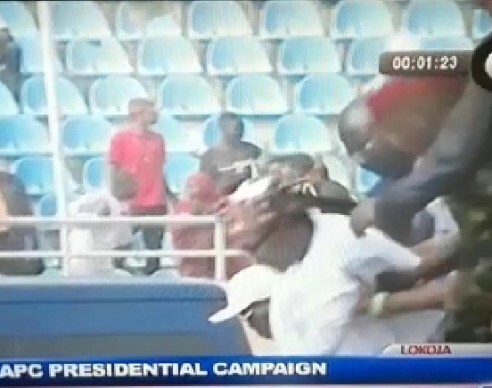 In Africa in general and Nigeria in particular, he can't appear in the crowd let alone addressing people or even granting public press conference. Though he is trying to mimic the late Buhari, the difference is clear. The cabal is running from pillar to post to cover the body double, but this time the world, IPOB and reasonable blacks have known that the man in Aso rock is an impostor, a young comedian less than 50 years of age as against Buhari's age of eighty.